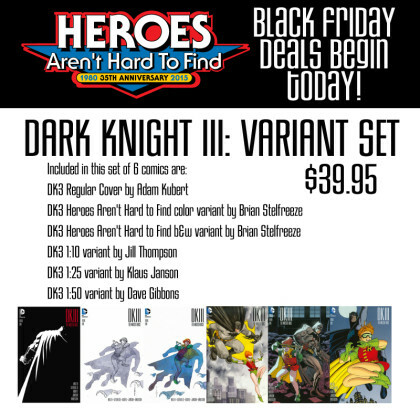 THE HEROESONLINE BLOG | HEROES BLACK FRIDAY DEALS START NOW! HEROES BLACK FRIDAY DEALS START NOW! 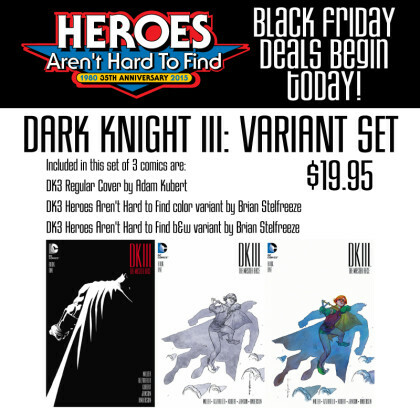 Get in here at 10am this morning for great deals on DKIII variant sets and more! 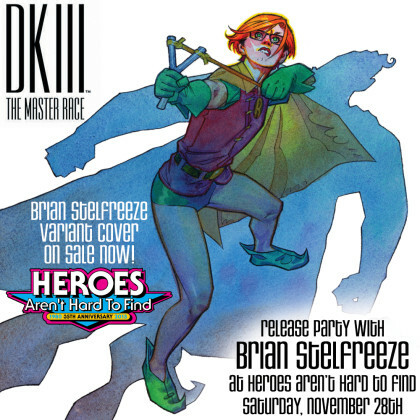 Don’t forget to come by this Saturday to meet artist of our store exclusive variant and the upcoming Black Panther, BRIAN STELFREEZE!